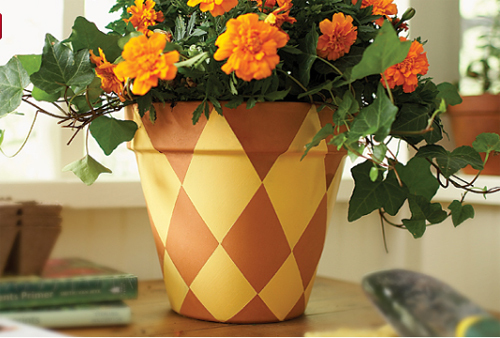 We search high and low around the web to find fun craft ideas using clay flowerpots. We love to pass these along to you since we think they are clever, decorative and fun to do. Here is one from Beckie Farrant that is easy and just plain neat. 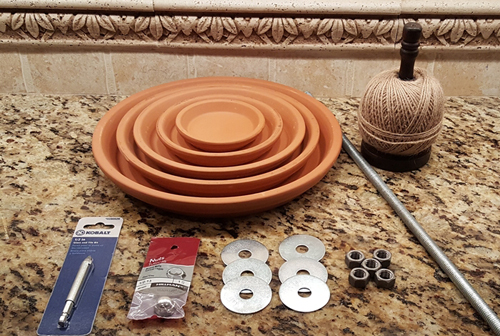 Supplies needed Large terracotta pot, Med terracotta pot, acrylic paints by Folk Art, river stone filler, primer & clear sealer. 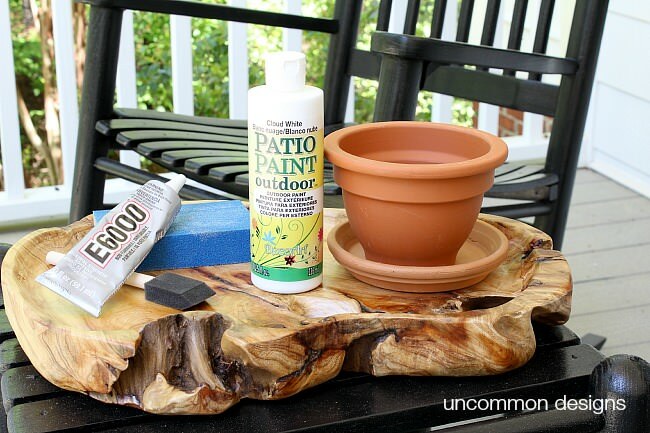 Start by priming the flowerpots. The white background will really make your drips stand out. 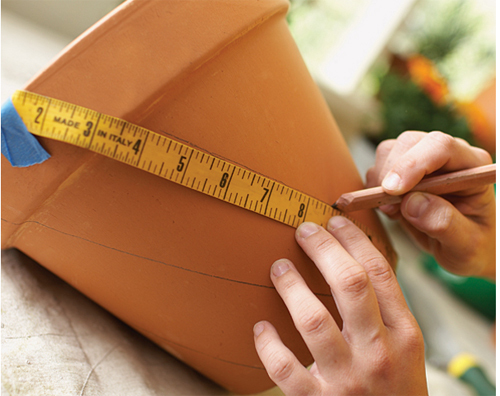 You don't need to spray the sealer on the smaller pot because it will be mostly covered by soil. Once dry, prop the pot off the ground with a tarp underneath. 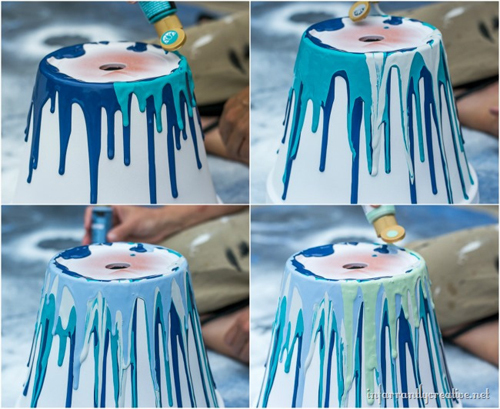 Add some water to your paint to make it drippy. Add a tablespoon to each bottle to get the right consistency. Shake well. Starting on the bottom edge, squeeze the pain on the edge and watch gravity do its job as the paint drizzles down the sides. Continue layering paint one after the other until you achieve the look you want. Let dry for full 2 days. Once dry spray with clear sealer for outdoor use. Next add pot filler to the bottom pot. 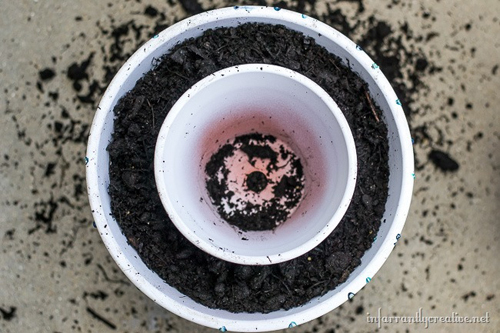 Add the smaller pot in the middle and then fill up the large pot with soil making sure the small pot stays centered. Plant your flowers. Then put pot filler in the small pot so you don't need to fill it with dirt. Fill the rest of the small pot with rock. 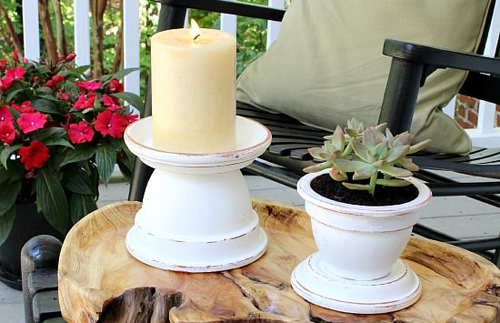 Add a battery operated candle inside a tall vase and place on top of stones. That's it. 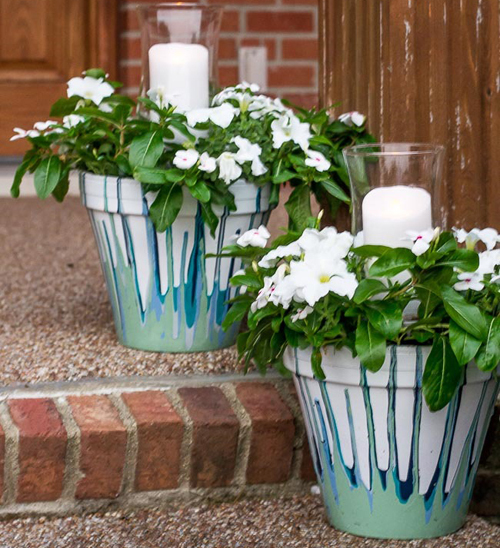 Light up for parties, place the flowerpot with candle on the patio or front steps to greet your guests. Just lovely and you did it all yourself. Read more..... The best container veggies. Read more..... Orchids at home. When you think of gardening do you think of all the work, mess and time it will take to take on a project like this? Have you ever thought about how much easier it would be to take this project inside and scale it down to a manageable size? 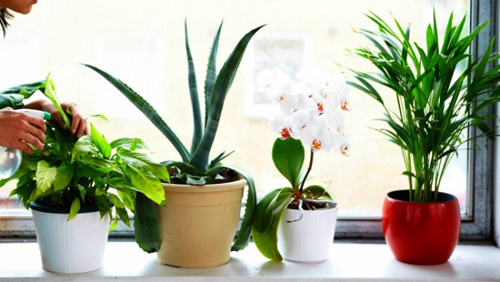 Well here are some tips that should help you decide that even you can handle an indoor garden. Many types of fruits and veggies can be grown in garden containers indoors but the easiest indoor garden to grow is herbs. 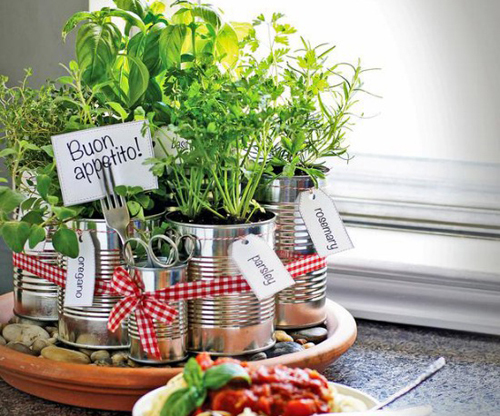 Do you like fresh herbs? They are so easy to grow that the decision of what to plant them in should take more time than the planting. 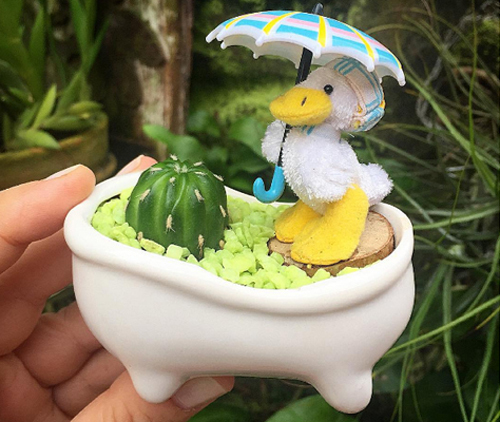 We love traditional clay flowerpots. This type of pot breathes and keeps the roots of the herbs healthy and happy. 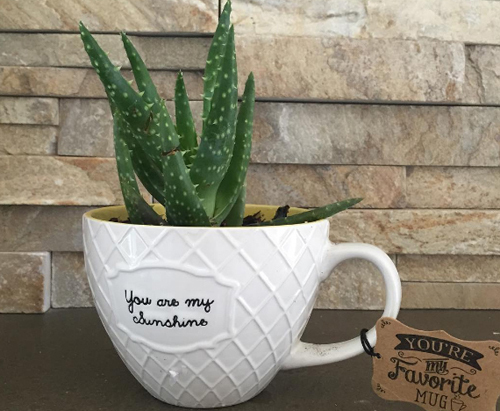 But, we would like to suggest some fun containers like tea cups, hanging pots, animal pots, and chalkboard pots. 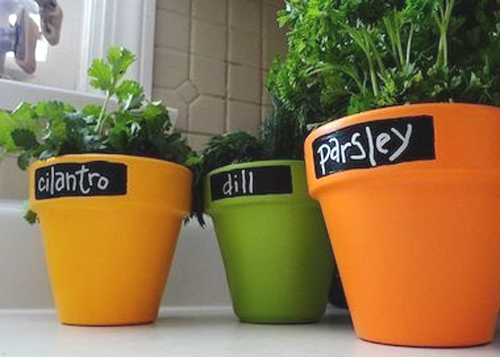 Place the containers in a sunny window or spot in the kitchen where they will get plenty of sunlight. 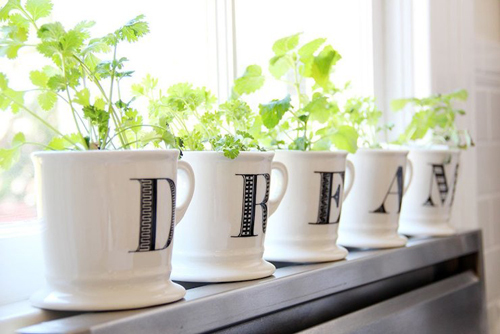 Buy the herbs as starter plants or use seeds. Water lightly, mist often and don't wet the leaves. When you want to harvest the potted herbs do it with a light hand and keep it easy until the herbs are really set and stable. All easy to grow, all perfect to have on hand for cooking. Read more..... Let's clean our garden planters. 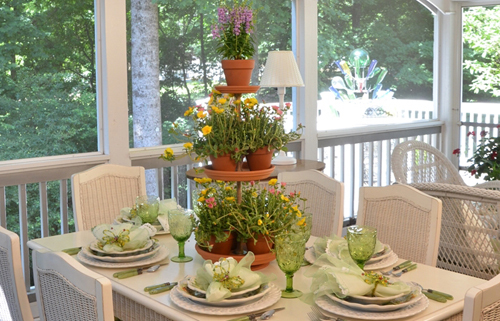 Read more..... What is your garden style? Start by priming the pot. Follow the primer container. Then create the pattern on the pot. Tape off the lines with painter's tape. Trim off excess tape with hobby knife. Paint over the tape creating the diamond pattern. Once the paint dry's, switch the tape to create a diamond and then paint. 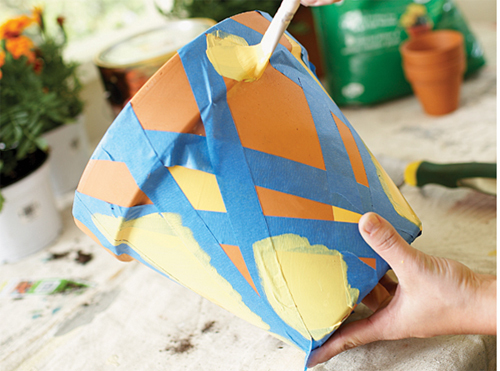 Remove the tape and seal the pot with a polyurethane. Use 2 coats. 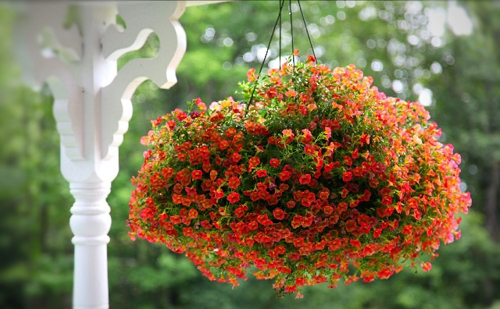 Fill the pot with beautiful flowers and ta da. Done. Read more..... Make your own Olla Pots.